Australia’s PM stuck in perpetual self-parody. The patrician and aloof Malcolm Turnbull continues as a parody of a PM. At a point when most political leaders would be reacting to the wholesale destruction of businesses and whole industries (along with tens of thousands of meaningful jobs) caused by spiralling power costs, Turnbull literally headed for the hills to pump his Snowy 2.0 scheme (yet again). 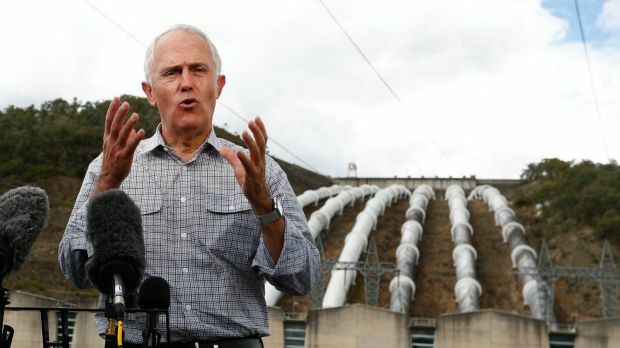 Touted by Turnbull and his hapless sidekick, Josh Frydenberg as the Nation’s mega-battery, the heavily-hyped pumped hydro scheme (shelved in the 1970s because it was uneconomic then) has been heralded as the saviour for the Australian wind industry. The line goes something like this: if we use 3 MWh of wind power to pump water through 27 km of tunnels, over an elevation of 900m, later, when power consumers actually need it, Snowy Hydro could return 2 MWh to the grid. But one thing is for certain, the numbers on Snowy 2.0 simply don’t stack up. Judith Sloan delivers another cracking article in The Australian, in which she identifies the lunacy of building a massive storage and energy release system just to compensate for Australia’s ludicrous obsession with wholly weather-dependent wind power. The point at the heart of Judith’s thesis is pretty simple: why squander $10 billion on a system that can never deliver power in its own right, when for the same money Australia could have 4 brand-new High-Efficiency Low-Emissions (HELE) coal-fired plants delivering 4,000 MW of cheap and reliable power, all by themselves, and for generations to come? Here’s a helpful end-of-year tip for Malcolm Turnbull and Energy Minister Josh Frydenberg: government is not an episode of ABC’s Utopia. You can’t assume a project should go ahead for political reasons and expect the cost-benefit analysis to confirm the politics. It just doesn’t work like that — or it shouldn’t work like that. On the basis of the material released on the feasibility of the Snowy 2.0 project, an extension of the pumped hydro project that is already part of the Snowy Hydro scheme, it looks like a complete dog. Dog is the term used in commercial circles for something that will never stack up — the costs are too high, the revenue is too low, the returns are too uncertain. Mind you, the chief executive of Snowy Hydro Limited has decided to hold back three chapters of the feasibility study, citing “commercial sensitivities”. These chapters cover the key issues of commercial projections, business modelling and cost estimates. Mate, we, the taxpayers, own Snowy Hydro. We have a right to know. The Prime Minister was wont to bang on about Snowy 2.0 costing $2 billion. If you thought that was a scary number, the reality is that he was simply making it up. The true cost of the project is probably closer to $3.5bn to $4bn. Geological complexities, you see, have added to the costs. That would be because drilling kilometres through a rocky mountain range was always going to be cheap — not. Even then the revised figure does not include the additional costs of transmission associated with the project, which will add billions more. The co-owners of Snowy Hydro, the Victorian and NSW governments, seem disinclined to support the investment. In this case, the federal government may be forced to buy out the other parties, which would drive the overall costs to considerably more than $10bn, although in that case the federal government would own the asset outright. Hang on, Josh: there are more assumptions in that statement than there are days in December. Now, I know you won’t be the energy minister when the project is completed — in eight years at the earliest, but shall we call it 12 years? — but the only alternatives are not diesel or batteries. For that sort of money, we could have two or three high-efficiency, low-emissions coal-fired power stations without the additional cost of transmission. Add in some carbon capture and storage, and for that money we could have at least an additional 2000 megawatts of reliable, dispatchable power at a lower cost to taxpayers. And did I mention that Snowy 2.0 will have a round-trip efficiency of only two-thirds? This is because the project involves pumping water uphill to be released for electricity generation when needed. It takes more electricity to pump the water than is generated by releasing it. How this has worked in the past is that the cost difference between peak and off-peak electricity was so substantial that pumped hydro could make a commercial return by pumping the water at the cheapest time. The trouble is that there is now not a great difference between peak and off-peak rates, so the arbitrage possibilities have narrowed. The Energy Security Board, which is part of the wildly over-bureaucratised and badly regulated electricity system, has recently noted that there has been no net additional dispatchable power added to the National Electricity Market for several years, even though it is likely that an additional 5300MW of renewable, intermittent sources will come on stream by 2020. At least the board has made it clear that “both reliability and system security are more at risk unless the generation mix between intermittent renewables and dispatchable power is better balanced in all jurisdictions”. It is surely ironic that the Energy Security Board declares the NEM to be in intensive care but improving. Intensive care is not a good place to be and plenty of patients die. It is conceded that retail electricity prices have risen by nearly 100 per cent in real terms across the past decade and that the cost of electricity to businesses has doubled, or tripled in some cases, in the past two years. But that’s OK, all those additional wind and solar farms may lead to lower prices next year and in 2019 before prices rise again as more dispatchable power is pushed out of the market. There is talk, for instance, of the early closure of the relatively new Yallourn brown coal-fired power plant (1500MW capacity) as a result of the loony policies of Victoria’s Andrews Labor government. In reality, the addition to supply of more non-synchronous renewable energy may not even reduce prices in the short-term. Not only is the wholesale price set by the highest cost marginal supplier (and this is unlikely to be a renewable energy source) but the intermittency problem of renewable energy also is not solved by there being more of it. The sun shines and doesn’t shine at pretty much the same time across eastern Australia and the wind blows or doesn’t blow (or blows too hard) across many of the constructed wind farms, whose locations are designed to catch the wind. This lack of heterogeneity means increasing the penetration of renewable energy can have the effect of driving up electricity prices while driving lower-cost plants out of business. It is simply not a normal market where more supply drives down prices. The key challenge is how to create incentives to achieve more dispatchable electricity generation given that Snowy 2.0 is many years off and batteries can work for only a few hours at most. It’s not clear that the much-vaunted national energy guarantee will achieve this outcome, particularly given the overarching requirement that the Paris emissions reduction targets are met by the electricity sector, and the concentration in the market of large players such as AGL. When AGL goes through with its threat to close the Liddell power station, refusing to sell it to other parties, expect a further increase in electricity prices for households and businesses. It will be great for AGL shareholders; pity about the rest of the nation. The bottom line is that energy policy is not an episode of Utopia; we are already paying a very high price for stupid, ill-conceived policies on the part of the federal and state governments; the electricity market is highly concentrated, with the big players making hay; and Snowy 2.0 is a project that should be ditched in exchange for the promotion of additional dispatchable generation that offers the real prospect of lower prices and true reliability. plant delivers cheap & reliable power, all by itself. If a wind and solar and hydro energy system was made where sunshine and wind were reasonably reliable and done with low pressure water flow it wouls give a far better return. As the pressure escalates the friction losses become hideous. Prof Mark Oliphant designed a solar/hydro only system for South Australia some 70 years ago. Pumped Hydro Energy Storage (PHES) is good but not at huge pressures. There was one (saltwater) in Japan that worked for years. If you’re looking for a place where “sunshine and wind were reasonably reliable” you’ll find Unicorns there too. Perhaps the Government needs to look deeper into its CSIRO body. They have the Weather and Energy Research Unit. The problem is this unit concentrates publishing only one of its research areas, that of the use Wind to facilitate operation of turbines. They have designed a system which apparently measures wind, assisting the industry to find the ‘best’ places put their torturous machinery. Wonder if CSIRO gets any financial income from this commercialisation of their work.? it seems from this that Windlab actually owns it? Still more though is this Unit also has assistance from another Unit within the CSIRO ‘Adaptive social and economic systems’. who conducted a survey “Australian attitudes to climate change and adaptation: 2010-2014”. Concluded people were supportive of ‘renewables’. Though it did seem somewhat lacking in unbiased interviews with 9 from wind companies, 4 from Local Government, 4 people who opposed turbines, 3 that liked them, 4 hosts and 2 other interviewed from 8 installed and proposed projects. The SA sole project just happened to be one of it oldest and smallest with only interviewing 2 from the company and 1 from the Local Government, none from the community. Of course they did look at the media etc. With this very in depth research being accepted as an indication of Australians acceptance of turbines! THEN there is the section under the Weather and Energy research Unit we hear very little off, a section who’s researchers must be feeling ‘left-out’ of the energy production story in this Country. … This is the section ‘Coal Based Electricity …’developing pathways to low emissions electricity from coal through to advanced carbon power technologies – the Direct Injection Carbon Engine (DICE) and the Direct Carbon Fuel Cell (DCFC). Why hasn’t this been discussed openly and supported by our Political leaders? Is it because it doesn’t sound ‘cute and cosy’ or is there more to it? Could there be a smidgeon or more of personal ideology involved in why this section of research from the CSIRO is being ignored at this very important time in our Nations history? We have the coal, we have the workforce, we have the technology and we NEED THE ENERGY and THE JOBS. So why is it being pushed aside, why are we not using what we have at hand to secure an energy supply that is cost effective, provides many, many jobs, a reduction in the CO2 people are calling for and cheaper energy for industry and homes? Building a massive pumped hydro project and use electricity generated by coal to make it operate. That seems like a clever solution! 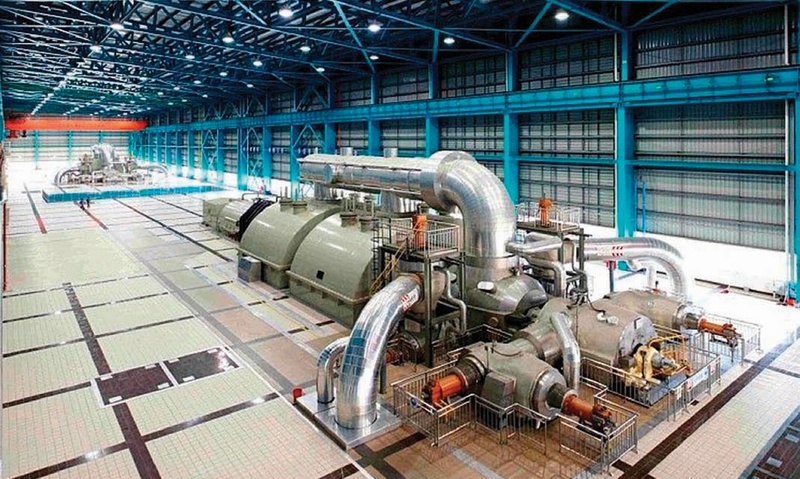 Or, instead of actually building a pumped hydro station, they should build a massive HELE coal fired plant hidden inside a pumped hydro station set–you know, like a movie set. That would be more efficient and everybody will be happy! After all, with the madness called Global Warming the only thing that counts is appearance. zzy says: ROFL well said.